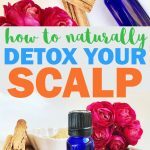 5 Reasons to Detox Your Scalp - beautymunsta - free natural beauty hacks and more! If you are losing a lot of hair lately and your scalp is itchy and inflamed, you may be due to detox your scalp. Here are 5 reasons you need to detox your scalp. In the quest for healthy hair, many people tend to focus on the hair strands themselves, and forget entirely about the scalp! Yet your scalp is the foundation for healthy hair. An unhealthy scalp equals unhealthy hair! We assault our scalps on a daily basis, with chlorinated water from the shower, shampoo and other conventional cleansers, hair spray and others. Store-bought hair products are often laced with toxic chemicals, some of which are known carcinogens and endocrine disruptors! What’s more, these toxic molecules tend to remain behind on your scalp, blocking the pores and closing follicles. Over time, blocked and closed follicles lead to hair fall and thinning. Over time, exposure to toxic chemicals found in hair products can damage and even close hair follicles. This means the hair growing out of those follicles may be fickle and dry, breaking easily. Sometimes the hair follicle may close and no longer produce hair. 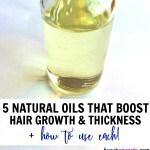 This also leads to thinning hair and bald spots. 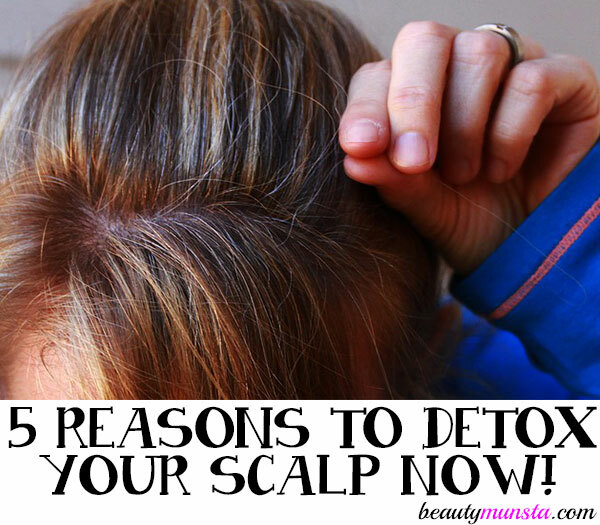 Detoxing your scalp can help stimulate these damaged and closed hair follicles. 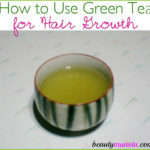 This can help new hairs to begin growing, fill out bald spots and increase hair thickness and volume. A clogged and unhealthy scalp can considerably slow down hair growth. By detoxing the scalp, you can reach deep within the pores and cleanse them. 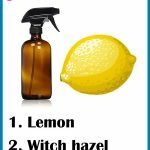 This gets rid of impurities and dirt that may slow down hair growth. Detoxing your scalp can also reverse balding and hair loss. Synthetic molecules that are left behind from using shampoos and other products often accumulate on the scalp and cause hair loss. Scalp detoxing can help get rid of this type of build-up and refresh, rejuvenate and invigorate your scalp to boost hair growth. Toxins are bad. They have so many invisible side effects that may show up years after exposure. Toxin build up on your scalp can actually show up on other areas of your body instead, such as joint pain, fatigue and insomnia. For optimal health, you need to get rid of toxins from all areas of your life. This includes eating healthy, fresh and organic food; and replacing toxic self-care products with natural homemade ones such as deodorants. Detoxing your scalp is also a great way to remove toxins from your body. This will contribute to your overall health and happiness. Dandruff is very common these days, yet we have strong anti-dandruff medications on the market. But then again, these harsh anti-dandruff medications actually make dandruff worse in the long run. Acne and scabbing on the scalp is a big sign that you need a scalp detox. Scalp conditions such as dandruff, excessive dry skin, acne and scabbing all contribute to hair loss. 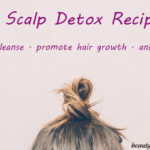 Sometimes all you need is a good scalp detox to get rid of the root cause of dandruff, acne and scabbing so that you can have a clean, fresh and healthy scalp. It’s very evident that toxins weaken the immune system. A weak immune system means your body can’t fight off foreign invaders and you will be subject to frequent colds, coughs and other diseases. This can damage your productivity and make you miss school or work. Cleansing your scalp of product build-up and toxin accumulation can help you reduce the burden on your immune system and make it stronger. Looking for the best scalp detox recipe to suit your needs? 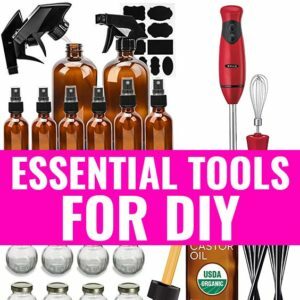 Read 5 DIY Scalp Detox Recipes for all-natural, non-toxic yet powerful scalp masks to cleanse and detox your scalp!